A gun was found on Thursday night in Bon Accord near a bushy area. Newsday was told no one was held in connect with the recovery of the 1.38 pistol. 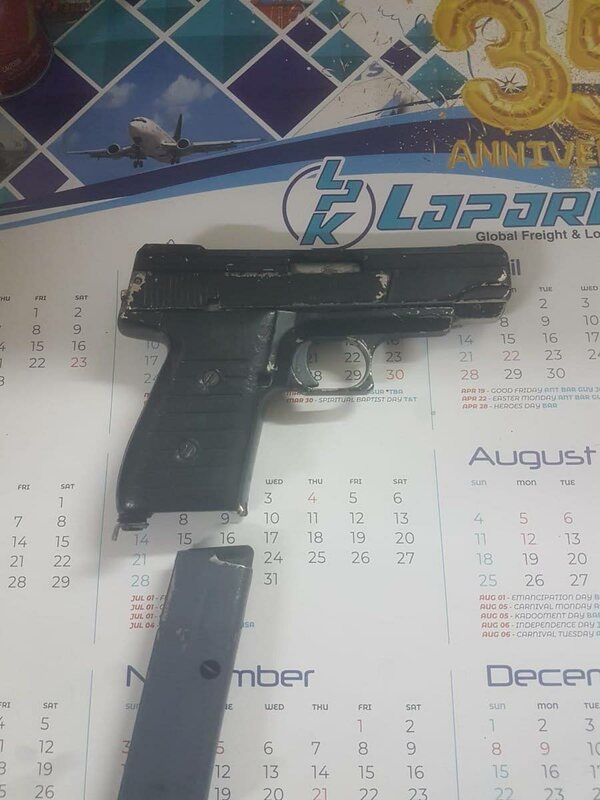 This is the fourth illegal gun found in Tobago for 2019. Both the island’s murders so far for 2019 have involved guns. The first victim, 20 year-old Dwarika Moses of Les Coteaux, was found murdered in a burnt car with a gunshot wound to his head on Mason Hall Link Road on January 16. Donald Parks, 85, of Summer Hill, Plymouth, was shot in the head and robbed two weeks ago. A man from Golden Lane has been charged with Parks’ murder. In 2018 Tobago police recovered 14 illegal guns. The target set by retired ACP Garfield Moore for that year was 12. Reply to "Gun found in Tobago"